This post was sponsored by California Pizza Kitchen, but all ideas, opinions, and pictures are completely our own. The truth is that Sara and I are busy moms and whether it’s everyday life or whether we’re entertaining, there are inevitably going to be shortcuts along the way. 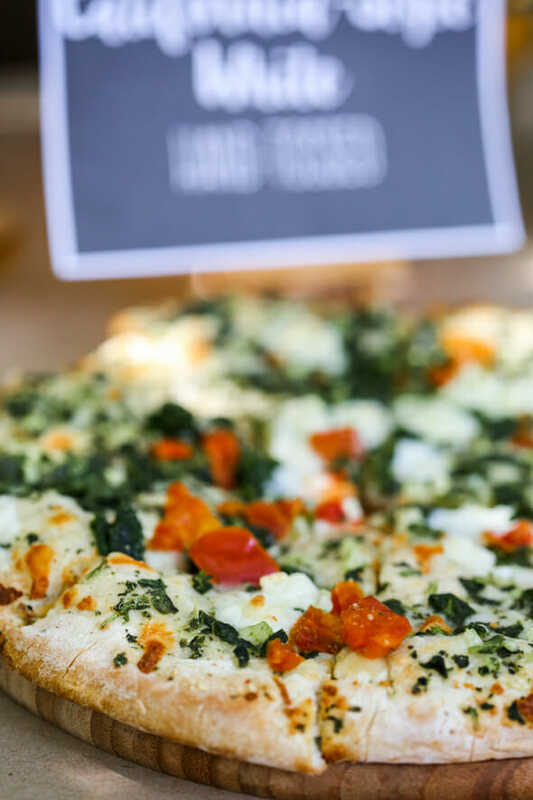 And since we love food, if those shortcuts are delicious, that’s the icing on the proverbial cake (or the cheese on the pizza, in this case.) In fact, when it comes to entertaining, I like to focus my homemade efforts in one area and then fill in the blanks with things that require very little effort on my part. 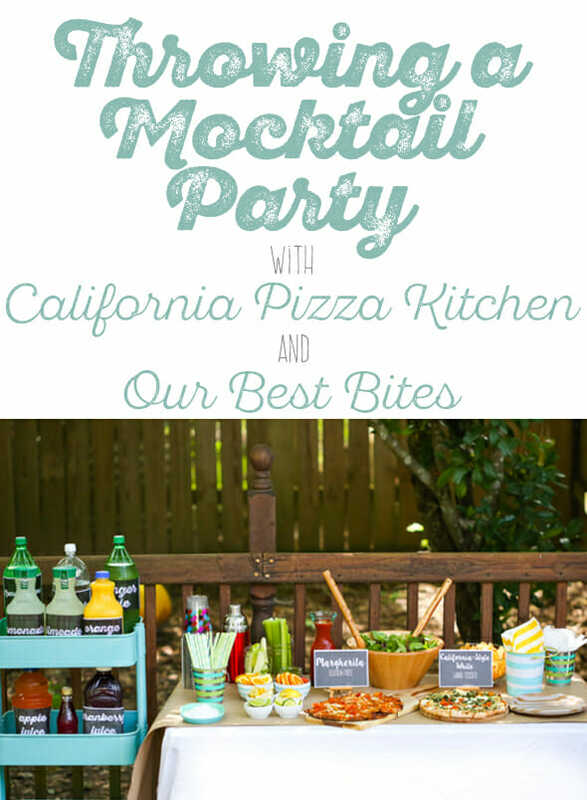 One of my favorite ways to entertain is to throw a mocktail party. Sara and I don’t drink for religious reasons, but there are a million reasons someone might choose mocktails over traditional cocktails. 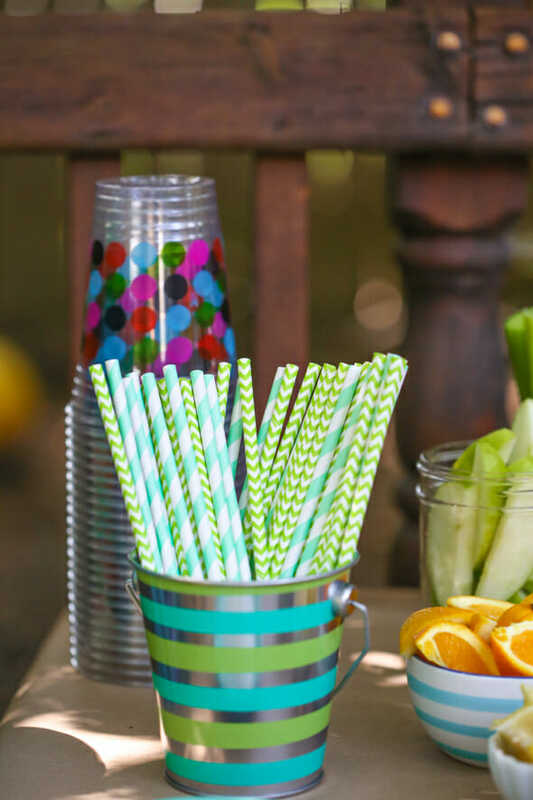 I still love fun drinks and, when I’m at parties or work functions (for myself or with my husband), I appreciate it when bartenders and hosts know how to make virgin cocktails This would be super fun for a baby shower, sweet sixteen, or just a girl’s night in. 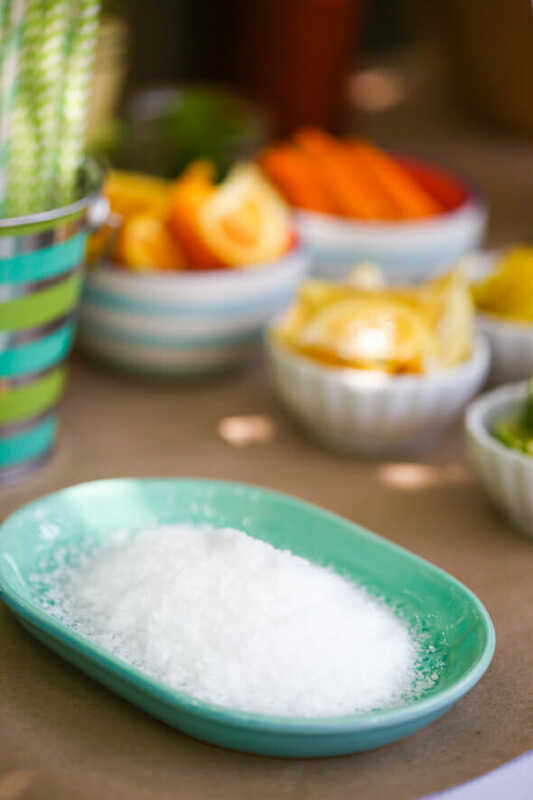 For this little mocktail party, I rounded up the supplies to make all these drinks, but really, you could just have a handful available (or play around and make up your own!) 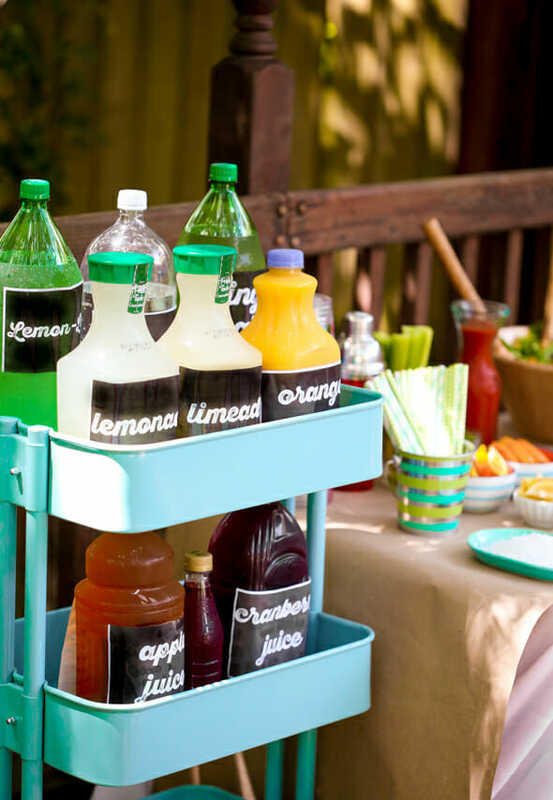 On the beverage front, we had lemon-lime soda, ginger ale, club soda, lemonade, limeade, orange juice, apple juice, and grenadine syrup. I kept things simple with plastic cups and cute paper straws, but if you want to get all fancy with your glassware, more power to you. Same goes for plates, napkins, and forks…when it comes to parties, washing dishes and linens goes against my entire belief system. 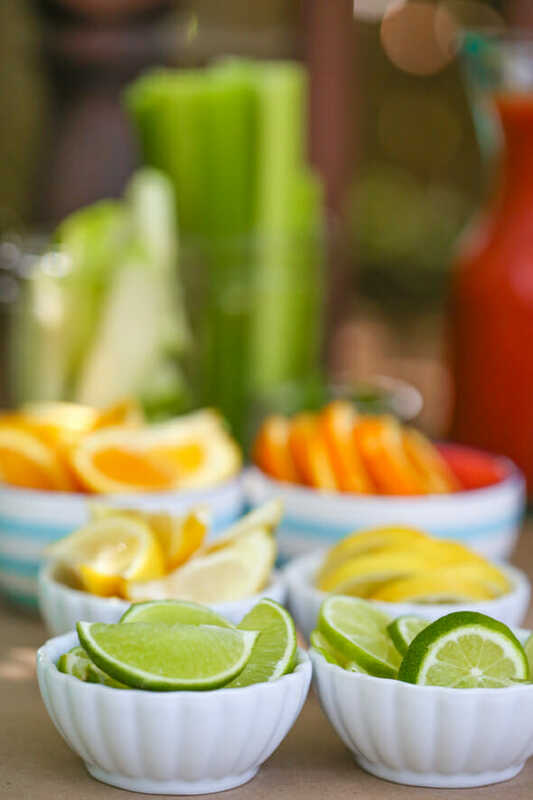 sliced and wedged oranges, limes, and lemons, fresh mint leaves, celery sticks, and apple slices. You could either play bartender (or have someone else do it), or you could have a cheat sheet available so people could make their own drinks. In terms of food, I also set out a green salad and a bowl of chips, but the main focus was the pizza. 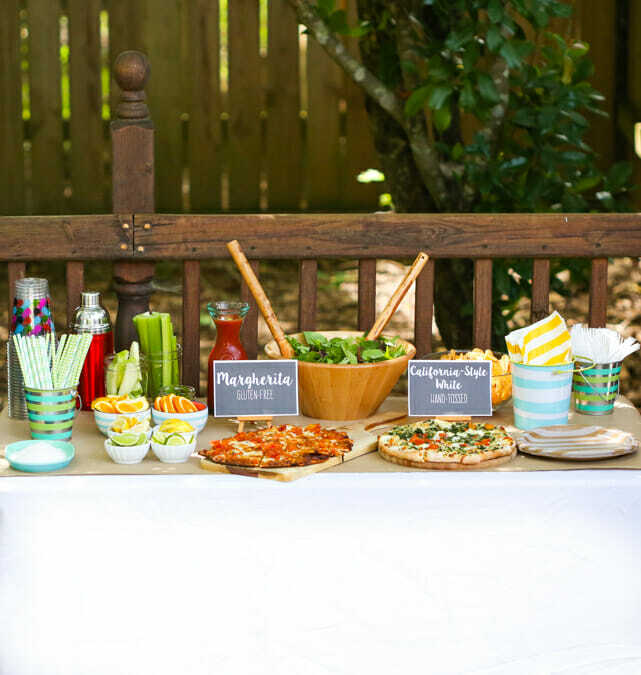 For this party, I set out California Pizza Kitchen’s new Hand-Tossed California Style White pizza and their Gluten-Free Crispy Thin Crust Margherita pizza. 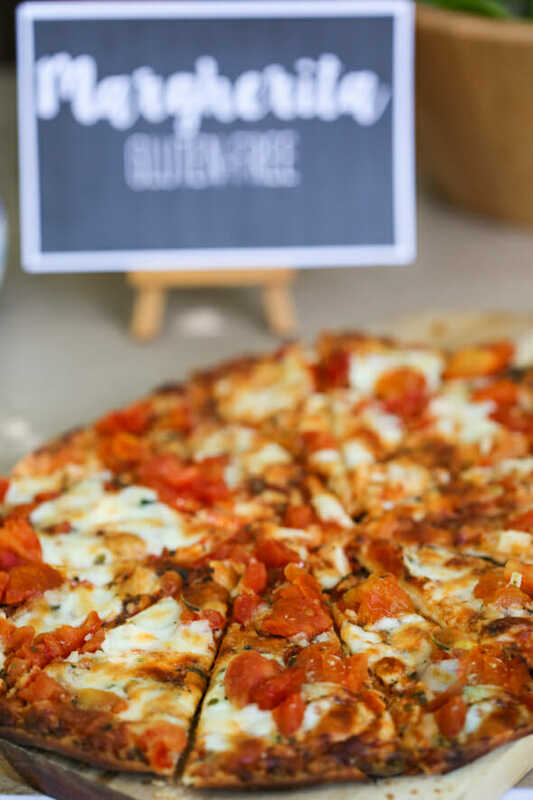 The Gluten-Free Crispy Thin Crust tastes just like the original, and it’s a really great alternative to those who can’t (or don’t want to) eat gluten. 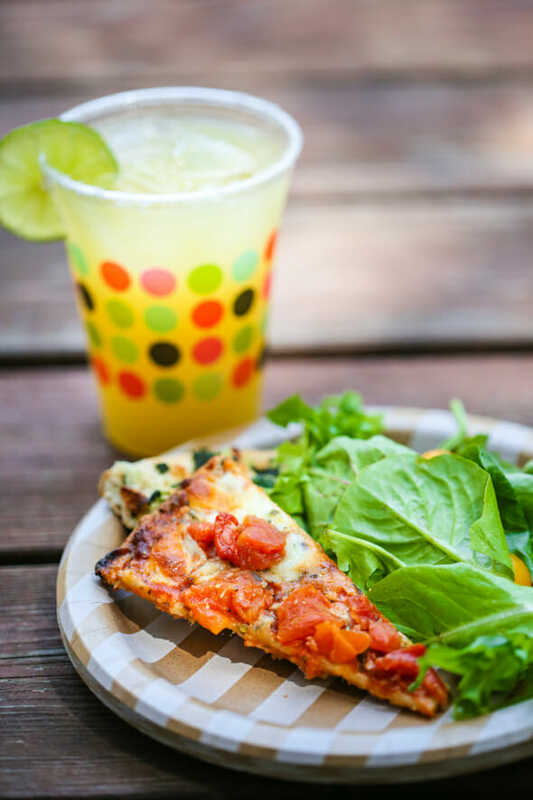 The light and crispy crust is perfect for the delicate flavors of fresh basil, garlic, and juicy tomatoes in Margherita pizza (another meatless combo, and another one of my favorites!) This is a great pizza to use as an appetizer; just cut it into small, two-bite pieces and set them out for your guests! For entertaining, I like cutting the pieces very small (you can also cut them into squares, rectangles, or strips), about half the regular serving size, so people don’t have to commit to one flavor and they can have a little taste of everything. and you’ve got a party! 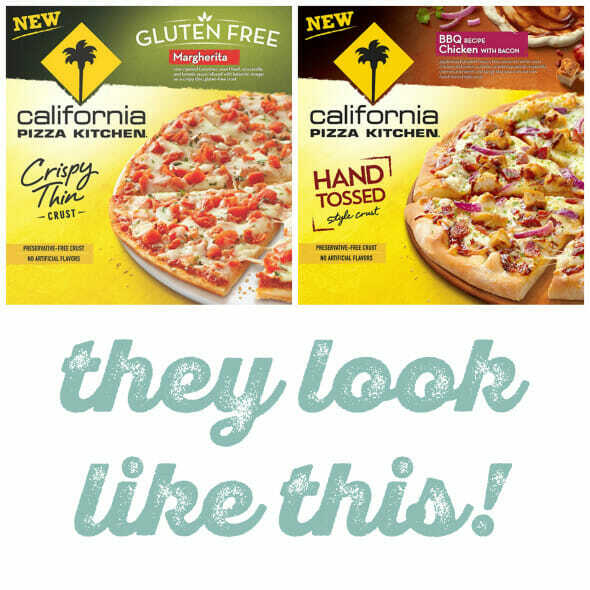 To find the oven-ready CPK pizzas near you, head over to www.cpkfrozen.com and then click the little box in the top right-hand corner that says, “Find a Grocery Store,” and if you want the mocktail recipes, check them out here! Happy Friday! That mocktail booklet is perfect! I don’t drink either and much as I love lemonade and iced tea, I’ve been looking for something a little different to serve at summer dinner parties. This should be a good start! So fun! Thnaks for the ideas! What a fun idea. Thanks for all the mocktail recipes! 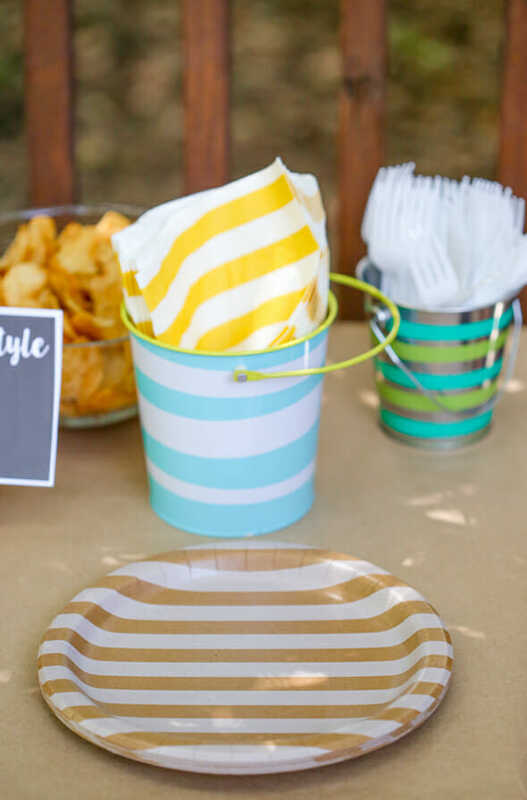 I love all your striped plates, straws, dishes, & buckets — such a cute way to make them go together without being tied to just one color. Where did you find the little striped pails? What a fun post! 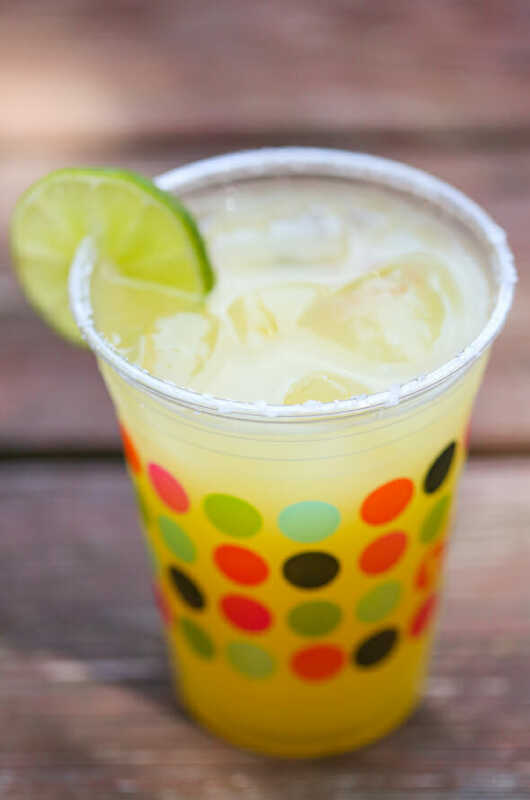 A splash or two of sprite in the “margarita” gives it a nice little fizz too. I can’t wait to try the Cosmopolitan, looks so yummy! This looks so fun! Oh, Dr. Dorian…..Scrubs is one of my favorite shows of all time! It’s probably the first Netflix show I binge watched years ago. I’m the weird girl who gets jealous of people who are starting a series (TV or books) that I have already finished and loved. I’ll have to give the mocktails a try. Thanks for all the recipes! I remember taking paper plates to a home when it was my turn to provide the food. My plates were promptly put aside and the hostess informed me that in her home they used the fine plates and linen napkins. Yes, they were wealthy people but I would think that even the wealthy would like to make life a little bit less stressful. I still use paper plates and paper napkins. ❮ Previous Post Previous post: Amazon Prime Day! Next Post ❯ Next post: Seattle Book Signing Event!